The deadline to file as a candidate in July 10. Sixteen Days away. Finally, the Democratic and Republican Parties have found candidates for the State Treasurer and Auditor races, respectively. Republicans even allegedly have found an Attorney General candidate, so they will not be shut out of the top state wide races. Well, wait, that’s not right, because apparently they have not found a candidate for Congress yet. Democrat Colleen Davis announced this past week that she is running for state treasurer. Ms. Davis is currently a health care professional from Dagsboro, and from that position she says she has garnered good experience with finances that would serve her and the state well. “We can have a budget and economy that are sound long-term, while also prioritizing the interests of Main Street over Wall Street,” she said. “Striking that balance is not ‘simple,’ as my opponent often riffs, but it is necessary to truly protect taxpayer investment in our state.” Good one. In addition to cutting checks, the State Treasurer is also responsible for overseeing the state’s investments, debt, banking infrastructure and several financial plans. With Davis’ entry, the Democrats are no longer at risk of being shut out of a statewide race for the first time in decades. I would have wanted a more seasoned candidate with more name recognition, but the outsider angle may play well. We will wait and see. Meanwhile, on the Republican side, allegedly, former Chief Sussex County Prosecutor and Republican Peggy Marshall Thomas will run for Attorney General. And for the Auditor’s race, Republican Joan Winters CPA is running for Auditor. She has been a CPA in Dover at Mitten & Winter for the past 27 years. She also serves as the only CPA on Delaware’s Tax Appeal Board for the past 18 years. If, God forbid, we end up with the unqualified Utahn Republican socialite Kathy McGuiness as our Auditor candidate, Mrs. Winters will destroy her on the qualified front. Another candidate has filed to succeed Mike Mulrooney in the 17th RD. 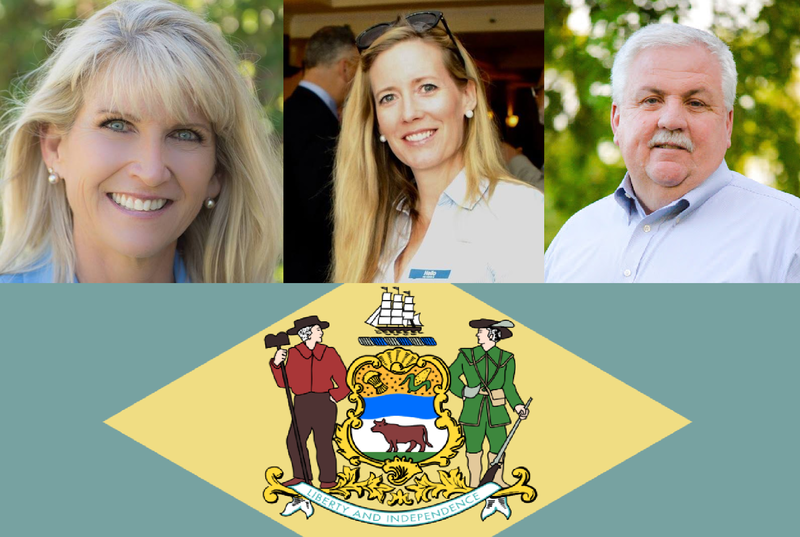 Joining Melissa Minor-Brown and Michael Burns in the primary will be David J. Roberts, who is currently serving as a Commissioner on the Delaware State Fire Prevention Commission. Previously, he served as the New Castle County Chief of Emergency Communications Division and served for 37 years in the New Castle County Department of Public Safety. Assuming that the names in italics are candidates announced but not yet filed, Republicans Truono & Arlett (US Senate), Winters (Auditor) and Thomas (AG) have not filed and should be in italics. State Senator Lavelle has filed. Eckbold has withdrawn in the 6th Senate Primary. I am sorry, should have explained. You are correct, the names in italics should be either candidates that 1) have announced but have not filed or 2) incumbents that have not yet filed or announced that they are retiring. For NCCo 4, it is Penrose Hollins. Republican State House incumbents Smyk (20) Short (39) and Dukes (40) filed this morning. Not sure if it was hand in hand. This is a gif of Dracula, Freddy Krueger, Darth Vader, and Jason Voorhees holding hands and skipping. I’m assuming it looked just like this, but I could be wrong.